Install this script in the Finder toolbar, select some folders and activate the script by clicking its icon. 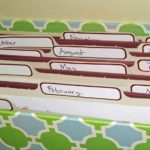 The selected folders will be merged with all their subdirectories intact. If duplicate files are located in duplicate subfolders, they are merged. This can save space and time if you are going to send them somewhere. This situation often occurs in the graphic design studio after I’ve collected multiple Indesign files into separate folders. If they are all being sent to the same printer, there’s no need to send all those duplicate links and fonts – especially when some of the links may be hundreds of megabytes in size. I wrote this script specifically to merge Indesign collected folders but it works just as well on any group of folders. See image below for an example ‘BEFORE’ situation. Notice how each top level folder contains identical subdirectories and all the links folders contain identical files. The script merges them into a single top level folder with all the subfolder hierarchies intact. Common files within common directories get merged. 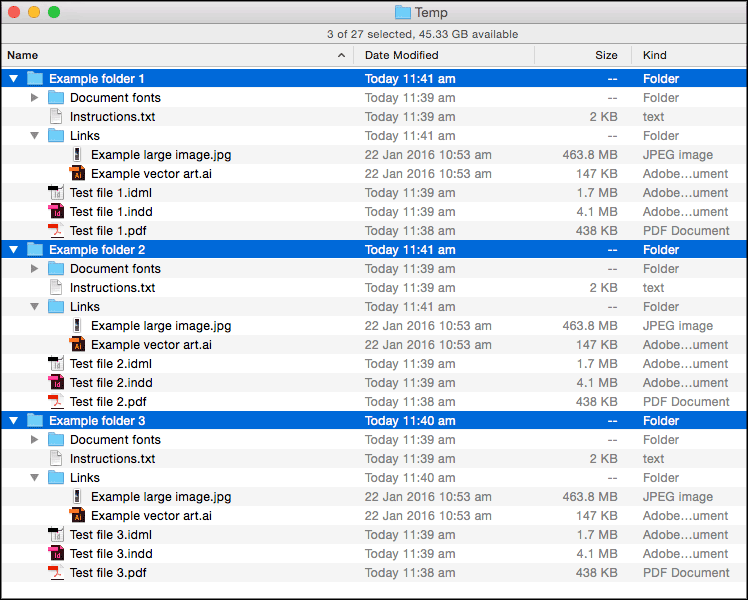 The loose files in the top levels of each folder get organised by type – and this is specifically for the purposes of collected Indesign files – separate subfolders are created to tidy up the loose IDML files and PDFs. See image below for the ‘AFTER’ situation. Note that all instances of the file called “instructions.txt” get merged into one. That’s just my personal preference because Indesign collects them by default and I don’t use them. The script does a preliminary check to make sure that the files have the same modification dates and sizes before being merged. If they don’t, a report is generated and you have the choice of whether to proceed or not. 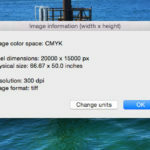 To use this script, create a new toolbar icon by Command + dragging the script to the Finder Window toolbar (at the top of every Finder window). Click the icon after selecting your target folders and the script will go to work on those folders. The script now has a progress bar to keep you informed of its progress. Note, because of the Mac’s security settings, it may refuse to open this app because it is unsigned. To open this app for the first time, right click on it and select “Open”. This is a script I would find VERY useful! Let me know when you have it updated (or if you need a guinea pig to test it, I would love to help). Thanks for posting! Hi Dave, I’ve just made it available again as a beta. It now has a progress bar. Please let me know how it goes.